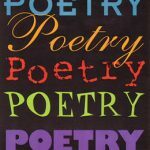 Bring your favorite poems or original ones to share or just come listen in an open supportive environment. Free. Sign up to read by email deb@bookloversgourmet.com or call 508-949-6232. Error: Error validating access token: Session has expired on Monday, 08-Apr-19 19:39:38 PDT. The current time is Wednesday, 24-Apr-19 09:07:03 PDT.